Face moisturizer that tones skin. Helps maintain the skin's natural moisture barrier while providing an immediate energizing and toning effect. Perfect anti-fatigue solution. 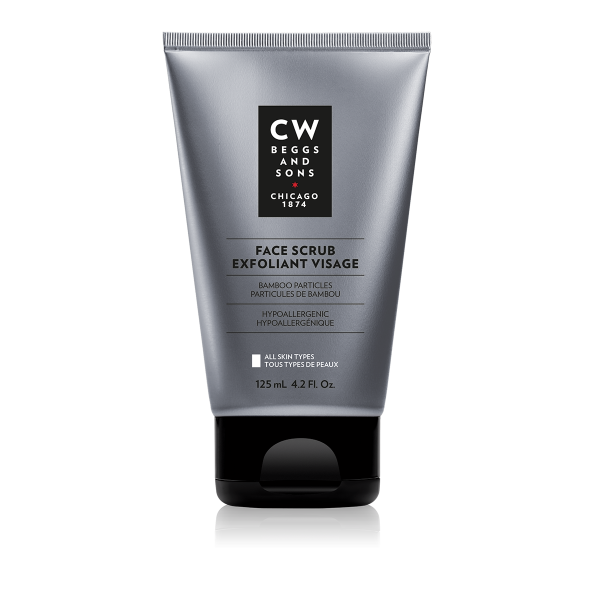 Apply twice daily, morning and evening, after washing your face with the Revitalizing Face Wash. Can also be used as an after-shave. AQUA/WATER/EAU, ETHYLHEXYL PALMITATE, COCOGLYCERIDES, GLYCERIN, POLYGLYCERYL-3 DICITRATE/STEARATE, CETYL ALCOHOL, PANTHENOL, GLYCERYL STEARATE, STEARIC ACID, SODIUM HYALURONATE, PALMITIC ACID, ETHYLHEXYLGLYCERIN, SODIUM STEAROYL GLUTAMATE, XYLITYLGLUCOSIDE, CAFFEINE, ANHYDROXYLITOL, ALLANTOIN, SODIUM POLYACRYLATE, TOCOPHERYL ACETATE, PHENOXYETHANOL, XANTHAN GUM, XYLITOL, DISODIUM EDTA, CITRIC ACID, GLUCOSE, SODIUM CHLORIDE, TOCOPHEROL, DIHYDRO-BETA-IONONE.